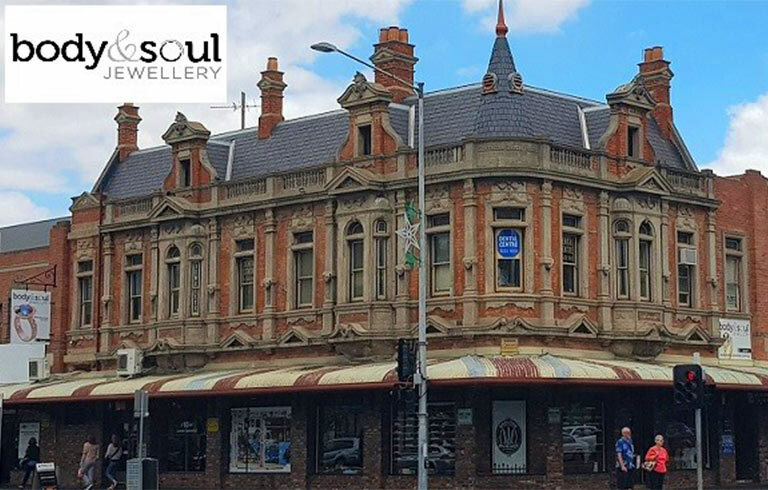 Located in the heart of Geelong, Body and Soul Jewellery is a family-owned business providing expertise in the design, manufacture, re-modelling, sales and repair of jewellery. Our jeweller John has over 33 years experience in the jewellery industry, and shares his expertise in a relaxed and friendly way, offering honest opinions and assessments. We offer personalised consultation to achieve the very best outcome for your jewellery requirements, resulting in unique and individual pieces to suit individual lifestyles. Handcrafted engagement rings, wedding rings, eternity and dress rings evolve – through careful planning, design and consultation – to provide a unique piece to compliment your special day and beyond. If you have old gold jewellery that is no longer worn, we can re-melt this precious metal and use it to manufacture beautiful patterned bangles or other unique pieces. You can retain the sentimental aspect of your old gold, in a form that you will be proud to wear. We source diamonds and coloured gems from ethical merchants who offer high quality and value for money. All of our diamonds (over .30pt) are supplied with a Gemological Institute of America (GIA) certificate – which guarantees peace of mind for customers when purchasing precious diamonds. Body and Soul are stockists of Paspaley Pearls, Broome South Sea Pearls, Tahitian Pearls, Keshi Pearls and Pacific Blue Pearls from Christchurch. We design, manufacture and remodel all types and styles of jewellery and offer a very quick turnaround.